Create eye-catchy makeup looks with the BeYu Color Catch Eye Palette. 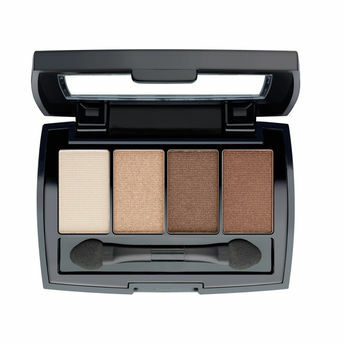 This stunning eyeshadow palette has 4 matching colors that allows you to create subtle, metallic and dramatic looks. Combine, experiment and recreate different looks with this ultra soft hues. Harmonious combination of four intensive colors. Various textures: matt, shimmering or metallic. 2-sided applicator for easy application. Includes a mirror for makeup on the go. Alternatively, you can also find many more products from the BeYu Color Catch Eye Palette range.